Description: An extremely rare and ancient race of giants. 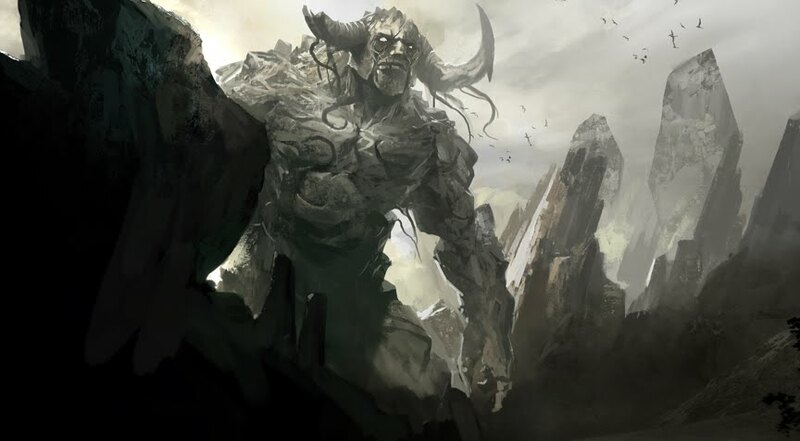 The largest type of giant in Overdark, remnants of the Fallen Age. Stone giants prefer thick leather garments, dyed in shades of brown and gray to match the stone around them. Stone giants can live to be 2000 years old. Stone giants fight from a distance whenever possible, but if they can’t avoid melee, they use gigantic clubs chiseled out of stone. A favorite tactic of stone giants is to stand nearly motionless, blending in with the background, then move forward to throw rocks and surprise their foes.